With AR on, a future version of the Maps app will merge its traditional interface with a live camera view. When doing navigation, superimposed arrows will appear at each turn, making it harder to misinterpret directions. The company is even experimenting with inserting animated characters such as a fox, which would remove any doubt and make the app more entertaining. AR technology may also make its way into the rest of the app, for example popping up an information card when looking at a storefront. 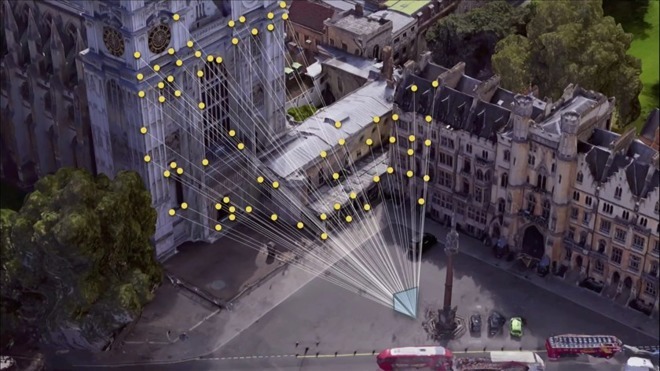 VPS is a related feature, combining the live camera view with Google's data trove to get a better sense of position than possible with just GPS. The technology could be especially useful in dense urban areas where GPS is often blocked by skyscrapers. A less radical additional in the works is a "For You" tab that will show nearby points of interest, with a "Your Match" feature attempting to custom-tailor recommendations. One intended use of this is sharing lists with friends instead of having to rattle off names from memory. 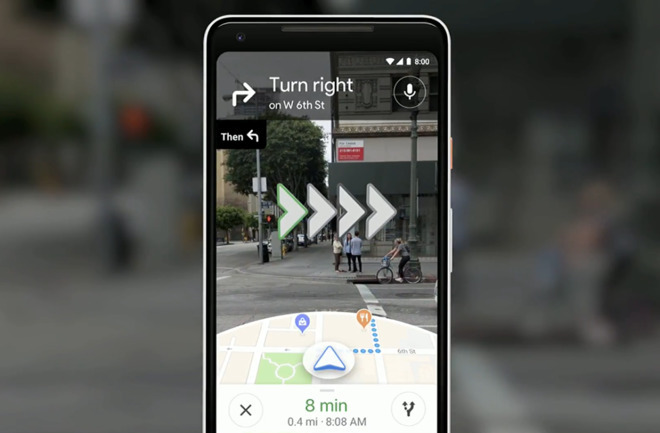 Google VP Aparna Chennapragada didn't say when these features might come to Maps, or if they'll be available on iOS as well as Android. Apple has expressed its own deep interest in AR, engineering newer iPhone camers with it in mind, and providing ARKit to developers wanting to build apps. The company is rumored to be working on a standalone headset with features like 8K eyepieces and its own operating system, currently dubbed "rOS."